Arthur Conan Doyle had first killed off and later resurrected his master detective by popular demand, something ITV and Granada Television closely followed when they had first broadcast their new Sherlock Holmes series with Jeremy Brett in 1984. The first thirteen episodes were so successful that more of them were inevitable, and like Conan Doyle they resurrected the detective in The Return of Sherlock Holmes after he was supposedly killed at the hands of his nemesis Moriarty. Despite some production setbacks due to the fragile health of Jeremy Brett and a change of cast for Doctor Watson with Edward Hardwicke taking over the role, the eleven episodes and two feature-length movies of Granada’s second series of Sherlock Holmes stories were even more amazing than their predecessors. This article is again an improved translation from an earlier German review of the splendid second Koch Media DVD boxset – while it does not contain the two movies, they are mentioned in the article and will be reviewed seperately later. With the most famous detective of them all getting quite popular again in the last years, I think it’s time to have a look back at Sherlock Holmes’ most faithful incarnation in the form of the brilliant Jeremy Brett. The first thirteen episodes of The Adventures of Sherlock Holmes were first broadcast in 1984 not by the BBC, who had no interest in Arthur Conan Doyle’s stories anymore, but by ITV. Their production company Granada had put together a first class team of writers, directors and actors to bring the master detective to life in a way nobody had attempted before. Today’s article is a translated and expanded version of an earlier German review about the DVDs released by Koch Media in 2005, but it also is an introduction to Granada’s Sherlock Holmes and its history, which will soon continue in more articles about the further episodes and movies of the series. I would very much like to have written something about the new version of Cosmos with Neil deGrasse Tyson, which premieres this evening on American television, but sadly I don’t have access to any channels it airs on here from Germany. Because my thoughts on the new series will have to wait until a DVD release, instead I’m taking a look back at Carl Sagan’s original from 1980, which I had already reviewed a couple of years back in German. Today’s review is an improved translation of the original article mostly about the series itself, but also about the low-priced, but still amazing British DVD release. I know that Cosmos is available on Youtube somewhere, at least in countries where it is not blocked because of the music rights, but if you want to watch the series in the best quality possible, this DVD is the best alternative to the still extremely pricey US release. I haven’t been to the cinema in a long time and probably won’t be going any time soon because of the high prices and the non-availability of original English versions around here, but that is not going to stop me from having a look at one of my favourite movie genres once in a while. 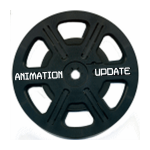 I really love animated movies and I’m always interested in what’s going on in the business, but I wrote an Animation Update article once in Spring 2012 and never followed it up. Let’s see if I can make this into a semi-regular feature since I’m not really in the mood to write long reviews at the moment and there also won’t be much Oscar coverage from me this year – except for a little bit of genre-specific speculation at the end of this post.